In search of a luxurious designer watch to bring a classy feel to your overall look? Look no further, your search ends here. 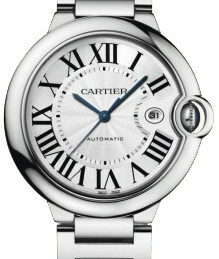 The Cartier Ballon Bleu large men’s watch incorporates elegance and punctuality all within one ritzy time piece. This chic watch is perfect for just about every occasion you could possibly think of. The beautiful 18kt white gold case measures at 42 millimeters, making it a larger sized watch and harder to pull off on certain men. The silver dial contains blue steel sword shaped second, hour and minute hands which all point to roman numeral hour indicators. A great feature of this watch is the date window by the hour three. The dial is protected by anti-reflective sapphire scratch resistant crystal. Around the dial is an 18kt white gold fixed bezel. The movement of this watch is automatic. To match the rest of the 18kt white gold theme, the watch has an 18kt white gold bracelet with a hidden folding clasp. An awesome feature of this watch is that it is water resistant in up to 100 feet of water, making it great for that big summer cruise or a day at the lake. This watch retails at $38,500, making it a very expensive accessory to own. If you’re not a fan of this particular color scheme or size of this featured watch, don’t you worry. 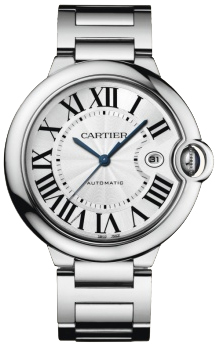 The Cartier Ballon Bleu collection offers several variations of this watch. The watch is available in not only a large model, but a small and medium model as well. The color variations are almost unlimited it seems with black and white dials, black or gold numerals and gold and white gold bands. There’s even a chronograph version with black or brown leather straps available of the Ballon Bleu. When it comes to the Ballon Bleu collection the style choices almost seem unlimited. If you are genuinely interested in purchasing this fine watch, it is best to do so through an authorized Cartier dealer or an actual Cartier store. 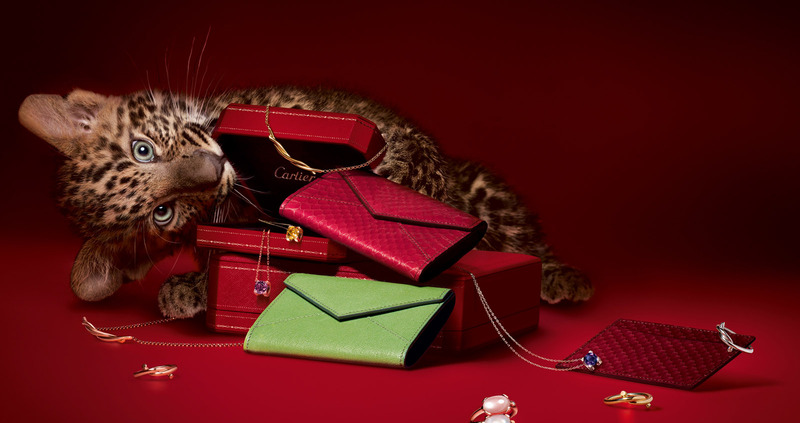 Cartier is one of the most counterfeited brands on the internet so it would be a shame to fall victim to a scam. Make sure your seller is credible and that you’re getting your money’s worth! You’re sure to be the envy amongst all of your friends with the Cartier Ballon Bleu large men’s watch.